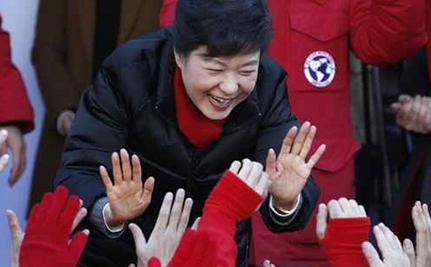 Care2 Causes | South Korea's First Female President: The Next Margaret Thatcher? South Korea’s First Female President: The Next Margaret Thatcher? Will the election of South Korea’s first female president turn out to be a victory for women’s rights? Or will Park Geun-hye favor the uncompromising policies of Margaret Thatcher, the first woman to be elected Prime Minister in the UK, in 1979? There’s no disputing that Park Geun-hye has made history by becoming the first woman to be elected President in South Korea, narrowly defeating her opponent, human-rights lawyer Moon Jae-in: Park won with 51.55%, against Moon’s 48.02%. Elected on December 19, Park will be inaugurated on February 25. By winning the presidency, the 60-year old conservative continues the tradition set by her father, President Park Chung-hee, a general who staged a coup in 1961 and ruled the country with an iron fist until his assassination by his own intelligence chief in 1979. Five years earlier, his wife Yuk Young-soo’s had also been assassinated by a pro-North Korean agent who intended to kill the president, but had bad aim. After that, the younger Park had a taste of power for five years, serving as her father’s de-facto first lady. Quite a dramatic childhood and upbringing! Following in her father’s footsteps, Park Geun-hye was elected to South Korea’s National Assembly in 1998, and has served five times as a representative. It seems likely that her father is responsible for her rise to prominence. Is that a good thing? Park’s father, Park Chung-hee, remains a very controversial figure in South Korea, even after 33 years. Older, conservative voters credit him with the country’s economic recovery, which has led to South Korea being one of the world’s wealthiest countries today. But at the same time, he was a fierce ruler, responsible for brutal crackdowns on his opponents, many of whom were tortured or executed. Brian Myers of Dongseo University told Al Jazeera that the “senior vote” played a big role in the election given the country’s rapidly ageing population. At the same time, Park also had to appeal to younger voters who “really don’t want to go back to that time,” he said. During the campaign she was forced to apologise to the victims of her father’s rule. What does this mean? Although a conservative, Park has said she would work to improve welfare schemes and create jobs while committing herself to “economic democratization.” She has pledged to fight against the vast power of famiilies that run the chaebol, South Korea’s huge conglomerates; she has also promised to expand the welfare state. How will President Park’s electi0n impact the U.S.? In the eyes of Washington, Park is a known entity who can be trusted. She has been a very successful and powerful politician over the last 15 years. She was the head of her party, identified as being pro-U.S., so in all likelihood, she will coordinate with Washington on North Korea policy, as well as policy toward East Asia. Relations with America are currently strong: last December, the Obama administration offered South Korea four advanced spy drones. On January 16, Kurt M. Campbell, Obama’s Assistant Secretary to the Bureau of East Asian and Pacific Affairs, met with the President-elect in Seoul. Once elected, Margaret Thatcher became known as the “Iron Lady” because of her uncompromising politics and leadership style. If Park wants her party to remain in power after the end of her term, she will need to be a lot more flexible than Thatcher in her approach to social welfare issues. But for now, let’s applaud Park Geun-hye’s victory! I wish the best of luck to Park Geun-hye and all of the Republic of Korea. Get your facts right if you hate Baroness Thatcher before you comment you bunch of disrespectful knob heads! Respect to the deceased and learn some manners. Good for her......I pray she'll do what's right over what other leaders do WRONG for people. Joseph B and Ray H ............ very strong views there about Mrs Thatcher !!!! But did either of you live in the UK while she was in power ? ....... I very much doubt it !!!!!!!!!!! President-elect Park campaigned hard on a platform of expanding welfare after having spent the five years leading up to the election distancing herself from the current conservative president, mostly from the left while trying to associate herself with liberal issues, including supporting the new administrative capitol created by the last liberal president. While much of the opposition to her campaign assumed she wanted to usher in a new dictatorship, it is unclear what she really plans to do. On most actual issues, the major candidates differed more on style than on substance. To what extent is she trying to unite Koreans across the political spectrum and to what extent was she just lying to get elected? Who cares,really??? Gonna be the same old. Thanks. I kno nothing about this person, but i'm just going to say, hopefully they elected her for good reasons, and not JUST to have a woman in office.